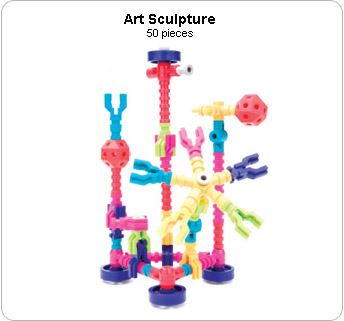 The Jawbones 100-piece set provides creative minds with the tools to build both simple and sophisticated models. 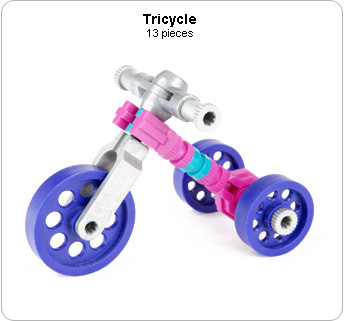 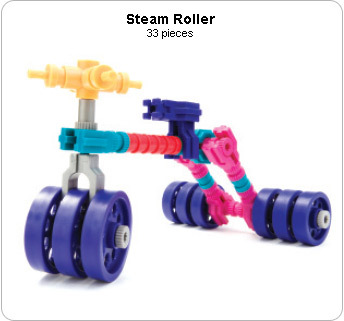 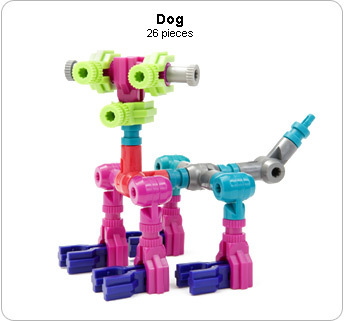 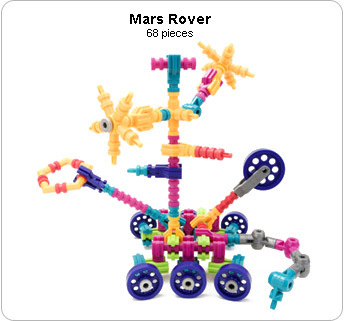 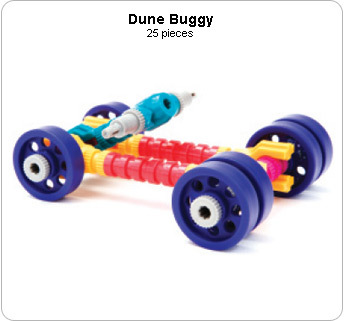 Build over 10 models provided in the 100-piece idea booklet or come up with your own constructions. 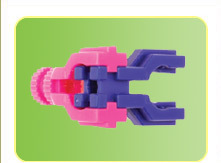 Mouse over a thumbnail below for a sampling of ideas.